thesupplychain by Retailtrend.it – This Valentine’s Day, UPS (NYSE: UPS) is ramping up its smart global “lovegistics” network to deliver an estimated 88 million flowers. The company will handle more than 8 million pounds of blooms for U.S. consumers, enough to fill 64 wide-body 767s, on a very tight deadline. 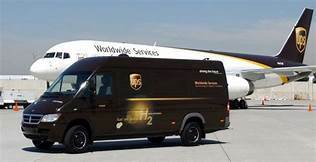 To ensure flowers are delivered at the peak of freshness, UPS transports the shipments from colorful growing fields in Latin American countries through the Miami International Airport (MIA), where UPS is one of the largest air cargo carriers, to the final recipient in less than two days. As the flowers journey from field to consumer, the precious blooms are carefully transported in temperature-controlled aircraft and trucks. Once shipments arrive at UPS facilities at MIA, they are rushed to a refrigerated warehouse cooler the size of about five basketball courts. U.S. Customs and Border Protection agents quickly inspect and sort the boxes for fast clearance. Flower distributors then pick them up, getting them a step closer to delivery. According to the National Retail Federation. U.S. consumers will spend an estimated $19.6 billion, up from $18.2 billion a year ago, on gifts for Valentine’s Day. More than 10 percent, or $2 billion, will come from flowers. For those procrastinating Cupids looking to send their gifts last minute in time for Valentine’s Day, can do so, as late as Feb. 13 using UPS Next Day Air®. Click here for the UPS Valentine’s Day Shipping Calendar.